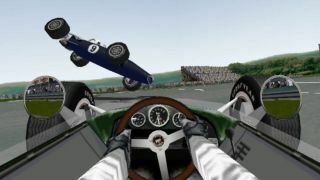 From the archives The story of the racing sim that wouldn’t die. From the archives Sometimes, you just have to watch your planet burn. Reinstall "It makes me feel like a soldier more than anything else…"
From the archives A strange war of tiny digital souls. From the archives Players fought for 20 hours a day, seven days a week. From the archives Central heating will never be the same. From the archives Don't fear the Horned Reaper.